Die spanische Organisation Gamers2, welche im Jahr 2014 unter anderem von dem bekannten League of Legends-Spieler Carlos 'Ocelote' Rodriguez gegründet wurde, hat sich nun die Dienste des ehemaligen Teams von ESC Gaming gesichert. Paweł 'innocent' Mocek und Co. haben nun wieder eine Organisation im Rücken, nachdem die vergangene Zeit nicht leicht war für das Team. Gamers2 wollte schon einige Zeit in die CS:GO-Szene einsteigen, fand jedoch bislang kein Team, was ihren Ansprüchen gerecht werden konnte. Mit den polnischen Spielern soll nun in der CS-Szene aufgemischt werden und am kommenden Wochenende könnte dies bereits zum ersten Mal der Fall sein. Hier treten Karol 'rallen' Rodowicz und Co. beim Offline-Qualifier für die ESL One Katowice 2015 an und versuchen einen Slot im Hauptturnier zu erspielen. Hier wurde das Team in die Gruppe A gelost, die wohl die Schwerere von beiden Gruppen ist. Im ersten Match treffen die Polen auf das amerikanische Team von Counter Logic Gaming, anschließend würde der Gegner aus der Partie zwischen Titan eSports und PiTER-ONLINE folgen. Man darf gespannt sein, wie sich das polnische Team im eigenen Land schlägt und ob man sie später beim fünften Major-Event spielen sehen wird. Today is a great day. After looking for opportunities in the CS:GO scene for several months, trying to find the best fit for our club, we finally found the players that match our philosophy the most. During the time of this search, we had the chance to sign other top-tier teams, but it did not feel right, since our focus was on achieving long-term goals. When the match-fixing drama with the team came to light, we knew that these players were not guilty, so we decided to take action. Not thinking about what could happen afterwards and having only these guys’ careers as our focus, we spent day and night in talks with every company involved in this decision to prove that none of these players were EVER involved in any wrongdoing regarding bets throughout their careers. With the positive outcome and the amazing vibes these players have given us, we knew that this was the team we were looking for. It was the players’ intention to become full-time gamers, and we thought this was a great opportunity to make their dreams come true. We are eager to work alongside them. 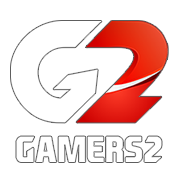 We are proud to announce that, from this day, we will represent Gamers2. We are really excited, because we always dreamed about the possibility of playing CS full-time and treating our passion as a job, too. Our motivation is sky high and we are ready to become an excellent team. Gamers2 is the best choice that we could have made. Even though they could have cut us off after our ban affair, they helped us a lot, and I think we would not have made it without their magnificent work. We would like to thank Gamers2 for trusting us and giving us the opportunity to attend every possible event and let us prove what we are capable of. 2015 is going to be a huge year for Counter-Strike, and we cannot wait to compete under Gamers2’s flag. aufgehts !!!! wieder neues team unter einem neuen Dach !! !